Political Activist Patson Dzamara has warned Zimbabweans from taking sides in the ongoing fights between Zanu-PF factions saying Zimbabweans stand to benefit nothing because the fight is about personal egos and not about the nation. "Until the day we learn that Zanu-PF fights are never about us, I ll vehemently reject the notion that we are an educated bunch. When they fight, its a case of 1 beggar trying to drive others out of town. 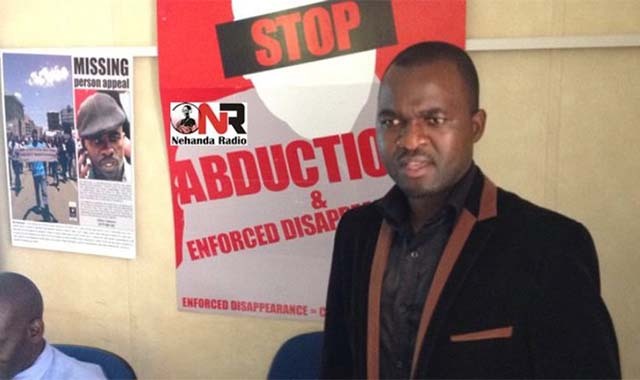 We must just drive all of them out rather than getting dazzled by their crap," Dzamara said. "I repeat, problems are never solved at the same level they were created. Expecting Zanu-PF to retrieve us out of this pit they put us into is foolish. It won t happen. If we are going to allow them to continue forcing themselves on us, we may as well get used to failure and poverty." Dzamara's statements come at a time when Zanu- PF factions are embroiled is messy fight for the control of the Party. The factions are allegedly aligned to President Mnangagwa and Vice President Chiwenga respectively. Yesterday, whistle blower Acie Lumumba was recorded confessing to Zanu PF MP Tinoda Machakaire that he was used by Christ Mutsvangwa and Mthuli Ncube to fight RBZ bosses and tarnish the image of Fuel Boss Kuda Tagwirei. "They tricked me," Mutumanje says of Mutsvangwa and Ncube. "The only reason these people got me is that they knew I was in a tough corner. My father wasn't feeling well. I went to Chris and said why are you letting my father suffer like this when you worked together? He said we will take care of him, but there's something I want you to do for me but because at the time I wasn't thinking the only thing that was on my mind was to look after my father and I made commitments, I said yes I will do it without knowing what it is. Little did I know I'had signed my life away, now this whole operation was about to start. "I knew that they were planning something, but I didn't know that I would be part of it, talking about it."